Strengths science teaches us that every human being has powerful, natural talents in a few areas, but that no one is good at everything. In addition to providing ways for us to harness our strengths, Gallup has also created different techniques to ensure that our non-talents do not become weaknesses. One technique is to develop complementary partnerships -- teaming up with people whose strengths are different from our own. In fact, in nature it can be a matter of life or death. In the plant and animal world, there are multiple examples of symbiotic relationships where two species rely on each other for survival. My favorite example is the pistol shrimp and the goby fish. Despite its minuscule size of only 3-5 cm, the pistol shrimp can use its claw to create one of the loudest sounds in the ocean. The sound frightens away enemies who feel the powerful sound waves and believe an enormous predator is near. The sound waves are so potent, they can even kill small fish. Although the pistol shrimp is endowed with a life-saving gift, it also has an unfortunate disability -- the pistol shrimp is blind. Swimming through life alone, this shrimp would likely become extinct because predators would easily take advantage of the shrimp’s weakness. Fortunately for the pistol shrimp, the goby fish is a perfect complementary partner. 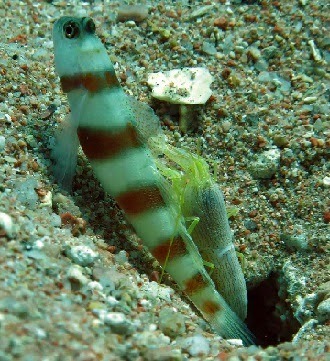 If you search for images of gobies, you will be hard pressed to find a picture of one without a pistol shrimp. The goby fish has a life-saving skill in its relationship talent. Gobies partner with pistol shrimp to help each other survive. They make a burrow together in the sand and venture out together when they hunt for food. When the goby spots danger, it wiggles its tail to signal to the pistol shrimp. The shrimp expertly snaps its claw and frightens away the predator so that both are saved. Without the pistol shrimp, the goby would have no way to fend off hunters. What can we learn from this example in nature? When looking at the pistol shrimp, it is unimaginable that this creature the size of your fingertip can create sound waves that reach a speed of over 60 mph, but it can. For this reason, it is important to never guess someone’s strengths. Encourage them to take the Clifton StrengthsFinder to get accurate results. People regularly ask me to guess their strengths. I hate that question. In my eight years as a Gallup consultant, I have spoken with over 1,500 coaches, executives, and managers. I still can’t guess someone’s strengths. However, once I see their StrengthsFinder results, I immediately understand who they are as an individual, and I can see their unique talents. Goals are achievable through various methods. Every creature in nature has some way to ensure its survival, but they all have their own ways of reaching that goal. Some use camouflage, some are bigger and stronger than their prey, and some have sharp teeth. Imagine if a pistol shrimp tried to protect itself by imitating the talents of other sea creatures. It could try to make itself fast like a barracuda or as strong as a shark. However, that pistol shrimp would not survive because it would never be as fast as the slowest barracuda or as strong as the weakest shark. If I were the strengths coach of a pistol shrimp, I would tell it to spend its free time learning how to make even louder, more devastating and intimidating sounds with its claw. The pistol shrimp could not survive without the goby fish, and the goby fish could not survive without the pistol shrimp. The best teams and partnerships also have members who appreciate the differences between them. There is a degree of vulnerability necessary to say to another person, “I need to rely on this talent of yours. I don’t have it. And here is a talent I have that I can offer you.” We don’t want to admit that we have areas of non-talent, but everybody does. When I lead team sessions, I often end with an exercise where each person discusses what unique talent he or she can provide to the group, and what they need from everyone else to be successful. It’s a very productive way for people to understand who they are and what they need in their partnerships. Fortunately in the corporate world, we are not worried about literally getting eaten by our competitors. We must understand what strengths we possess and what we are lacking if we want to thrive and achieve our goals. Then we need to build interdependent relationships with great complementary partners. It is necessary for goal achievement and career survival. Jamie manages enrollment in Gallup’s Strengths Coaching courses. For more information on how you can become a Strengths Coach, contact Jamie at Jamie_librot@gallup.com. 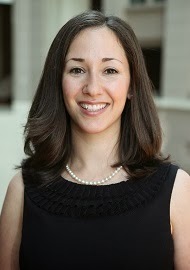 Jamie Librot is a consultant for Gallup and a Gallup-Certified Strengths Coach. She is pursuing a master’s degree in social-organizational psychology at Columbia University. She is based in New York City.